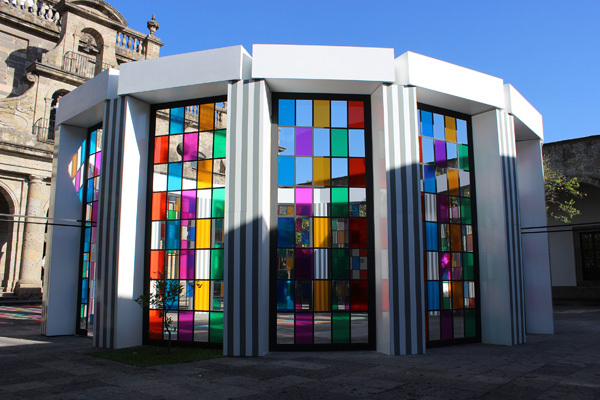 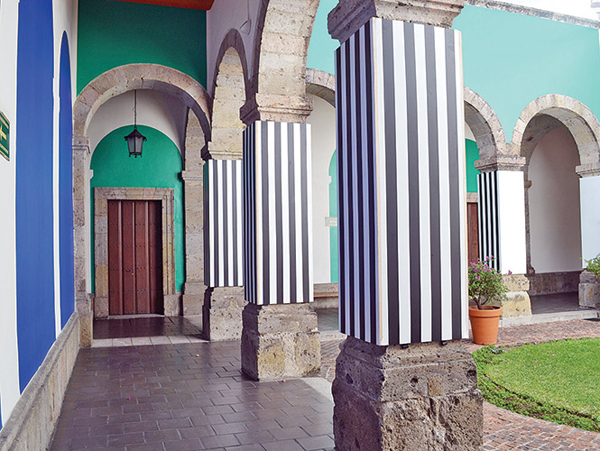 I’ve written before about Daniel Buren, the renowned French conceptualist that does site-specific installations. 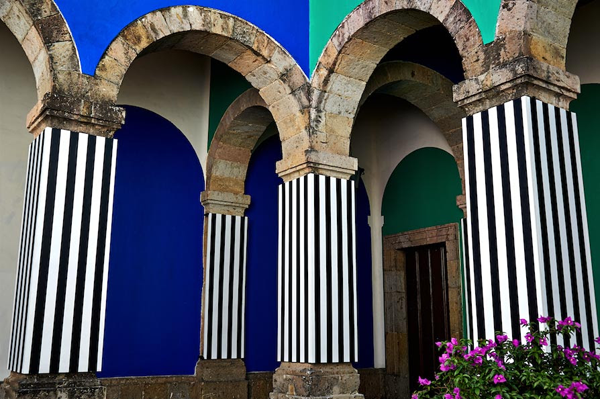 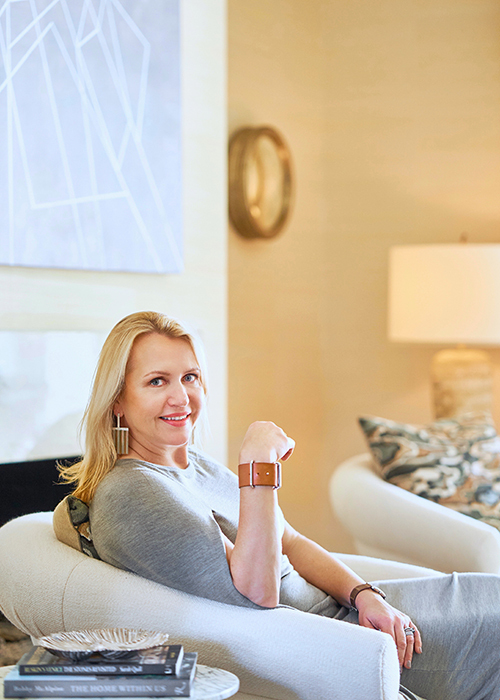 Over the years, I’ve been inspired by his bold use of stripes, colors, and geometric patterns, and the juxtaposition of his work against the iconic buildings in which he chooses to display them. 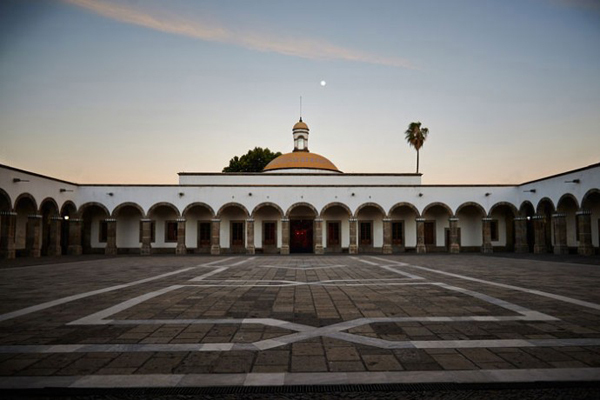 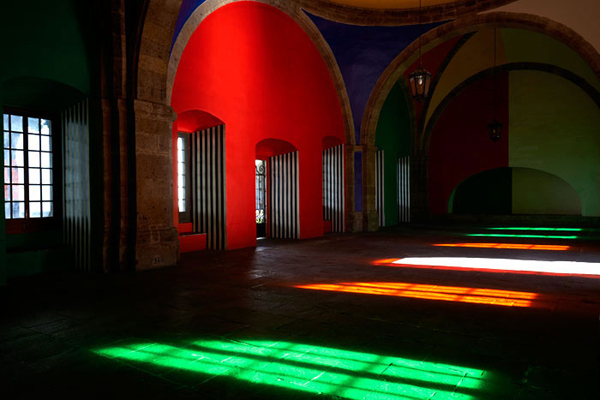 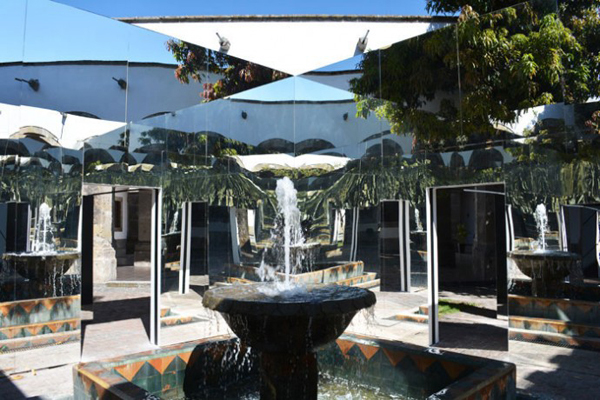 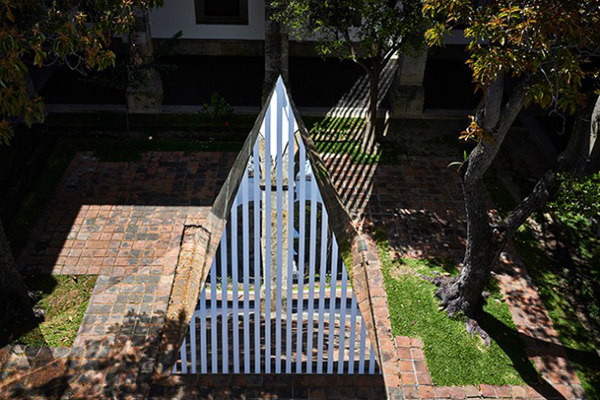 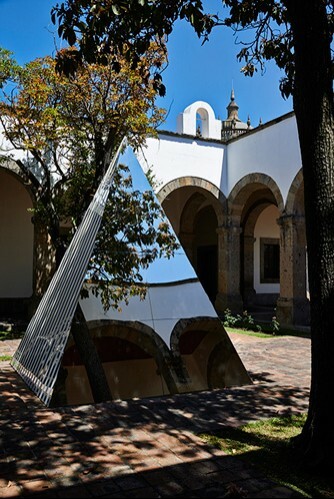 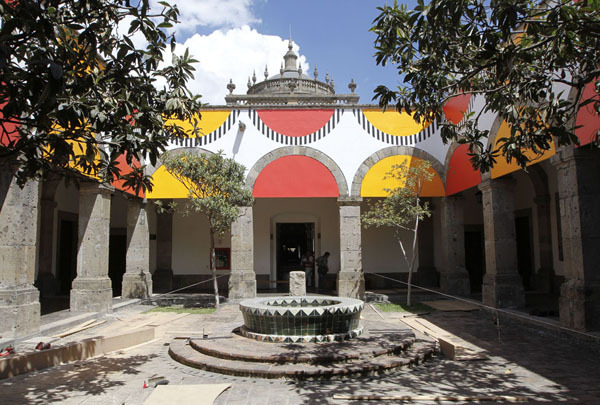 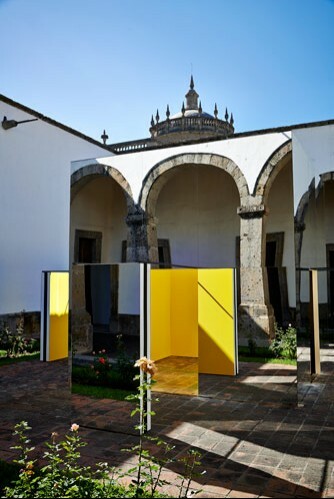 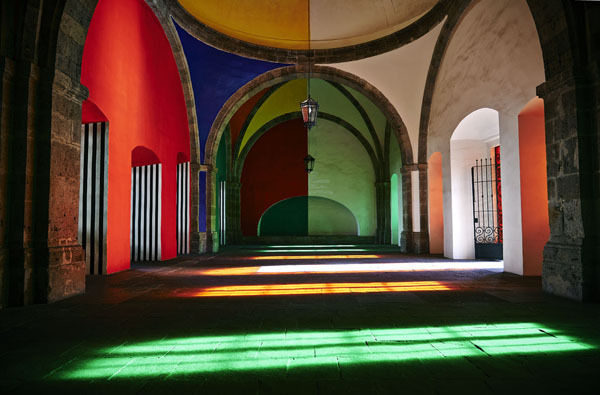 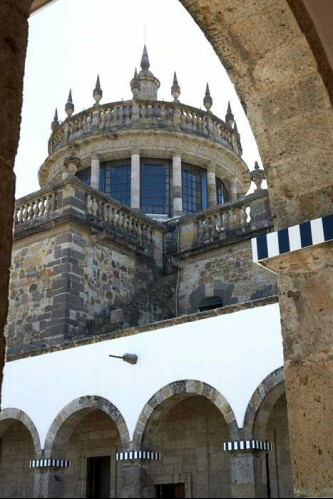 Buren has a striking new installation at the Cabañas Institute, which is housed in the Hospicio Cabañas, a monumental neoclassical building and UNESCO world heritage site in Guadalajara, Mexico. 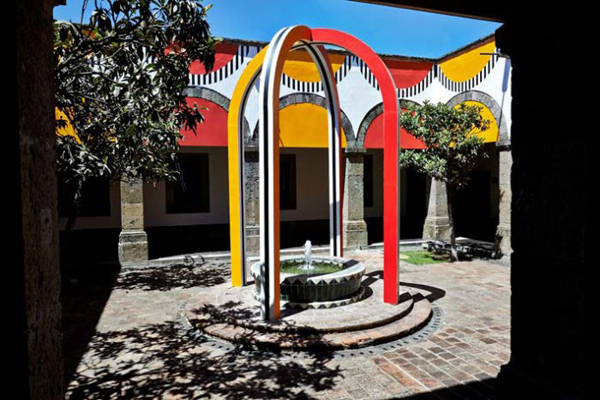 The work is featured in 18 patios and the chapel of the building, which once served as a huge hospital. 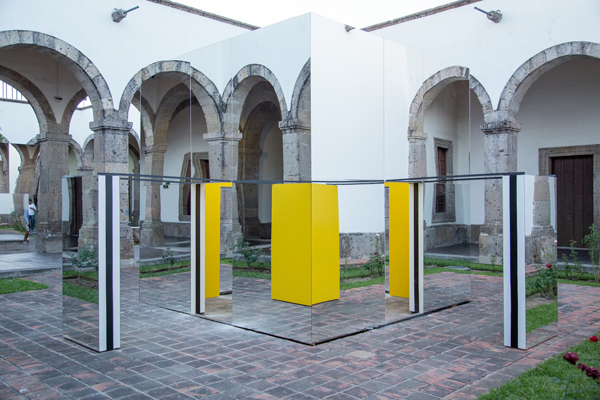 As always, Buren uses stripes and dynamic color compositions throughout the installation in unexpected and intriguing ways. 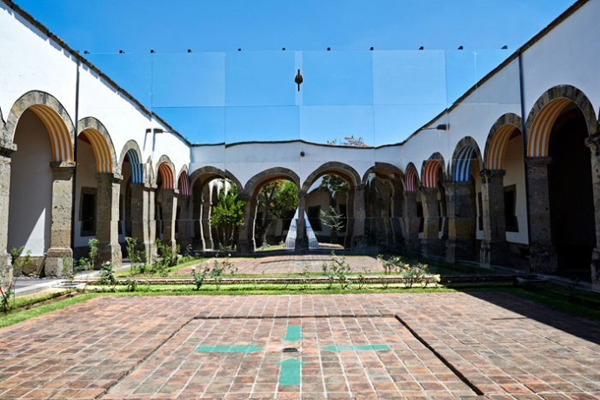 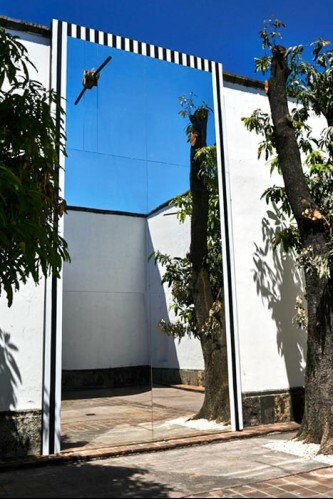 But perhaps even more interesting are his clever placement of large-scale mirrors, chosen specifically to trick the eye, visually fragmenting the architecture in places, while expanding it in others. 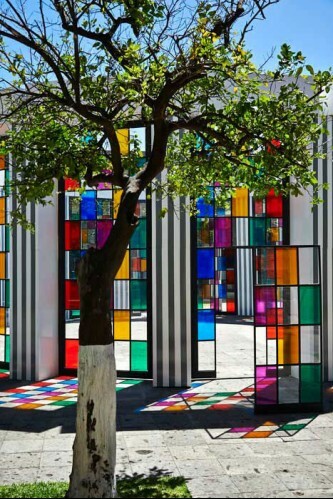 I can’t get enough of this installation! 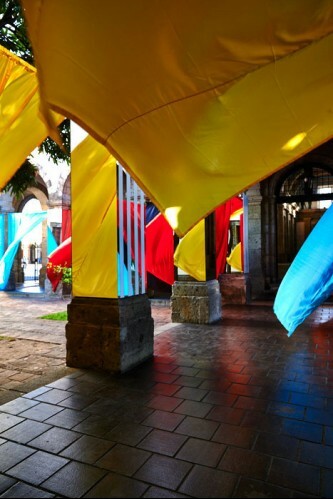 I would love to visit this show (maybe an excuse for a trip? 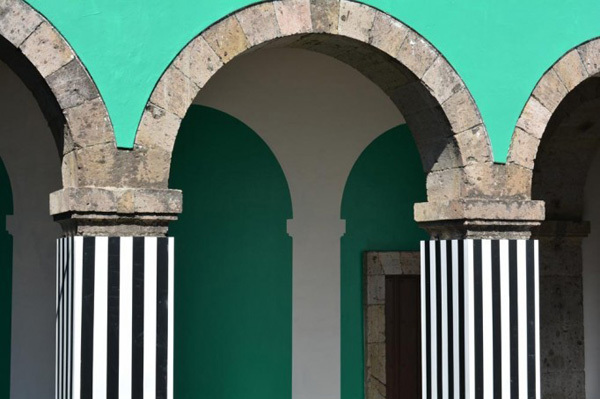 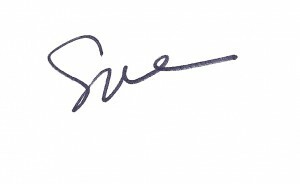 ), but even the pictures are making me think about new ways to use stripes and color in my own projects.